GP Petroleums Ltd, a leading lubricant maker and part of UAE-based Gulf Petrochem Group, today launched the Spanish oil major Repsol’s first ever fully synthetic Motorcycle Oils (MCO) in India, as per its exclusive licence agreement with Repsol to manufacture and market REPSOL brand of lubricants in the country. The products were launched at an event in Chennai, in the presence of senior officials from Repsol, Ms. Carmen Alonso, International Regional Manager, Mr. Jose Aguirre, Lubricants Regional Manager and Mr. Victor Gomez, Technical Services and Development Industrial & Marine Lubricants amongst the GP Petroleums team. said Mr. Hari Prakash, CEO, GP Petroleums Ltd. The MCO Synthetic range follows the successful launch of Repsol’s Mineral range of Motor Cycle Oil (MCO) and is available as a world class Fully Synthetic product ‘Repsol Moto 4T Sintetico 10W-50’ and Synthetic Blend engine oil ‘Repsol Moto 4T Sport XTI 15W-50’ in the Indian market. The formulation that is used possesses additional boosters taking RESPSOL MCO into the premium performance level. 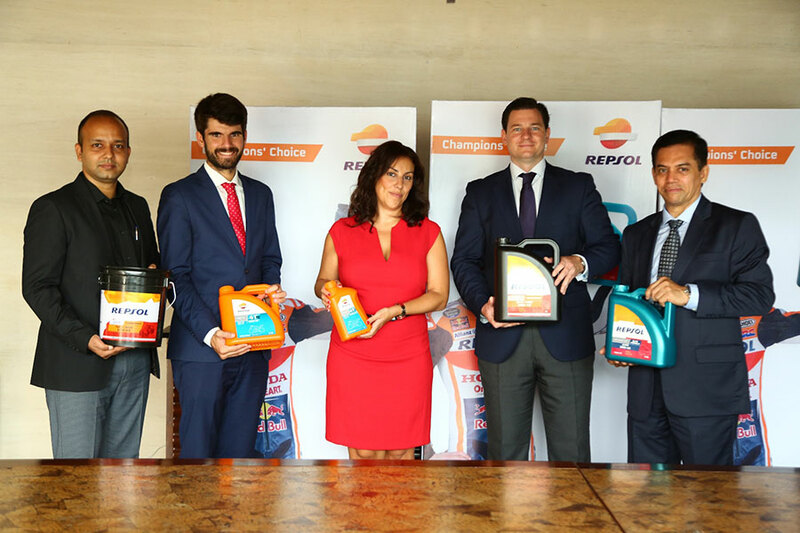 In addition to the MCO synthetic range, also launched at the event were the Repsol Elite Formula Super 15W40 from the Passenger Car Motor oils (PCMO) category and Repsol Diesel Super Turbo 15W40 CH 4 from the Diesel Engine Oil (DEO) category. REPSOL Synthetic Oils are designed for high performance 4 Stroke engines. Its formula ensures maximum protection for all engine components with special emphasis on the clutch and gear box. Its efficiency is reflected through very low friction experienced by the engine components, whilst always maintaining maximum power. This means it prevents friction between the moving metal parts and can lead to enhancements in fuel efficiency and engine performance. Repsol Moto 4T Sintetico 10W-50’ a fully synthetic product is known for its high performance levels, allowing optimized performance with longer drain intervals, excellent soot dispersion, anti-wear, anti-corrosion properties & viscosity stability in extreme conditions. 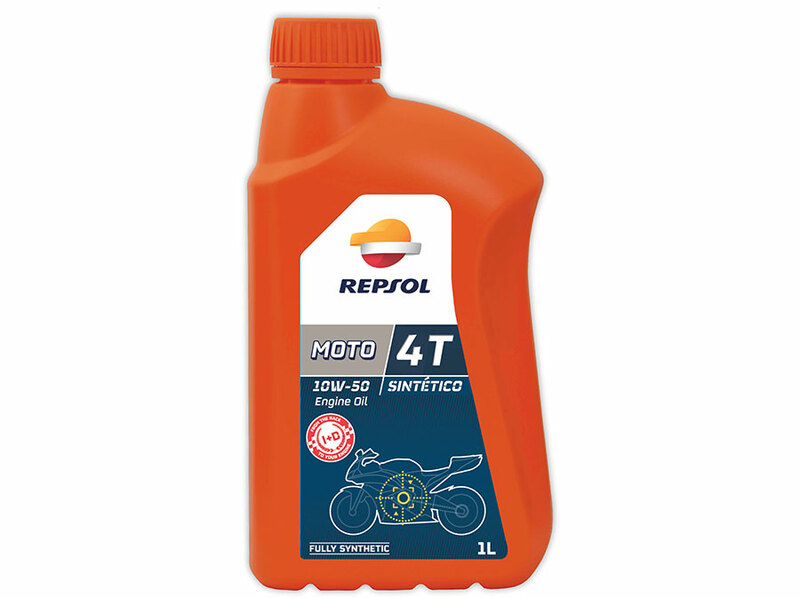 Repsol Moto 4T Sport XTI 15W-50’, a part Synthetic premium engine oil, allows better performance with fuel economy. The advanced formula is best suited for technologically developed engines. Repsol has also been associated with major Motorcycle OEMs, for developing high performance lubricants, partnering and participating jointly in car rallies. Repsol lubricants are developed in the state of the art global R&D centre in Spain, which cater to the newly emerging premium and top end segments. Repsol’s lubricants are commercialized in more than 70 countries and the products are known to meet the most demanding quality standards. These premium products are produced by GP Petroleums Ltd in their manufacturing plants in India, with modern testing facilities, in accordance to the stringent quality standards, certified by Repsol.